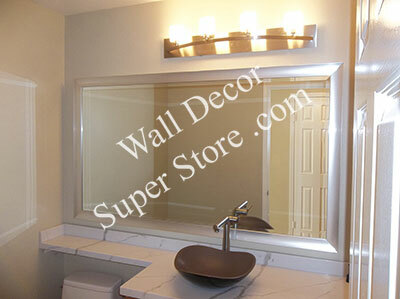 This custom mirror was made with a thin metal satin brushed nickel frame. The frame is less than 1/2 inch wide. 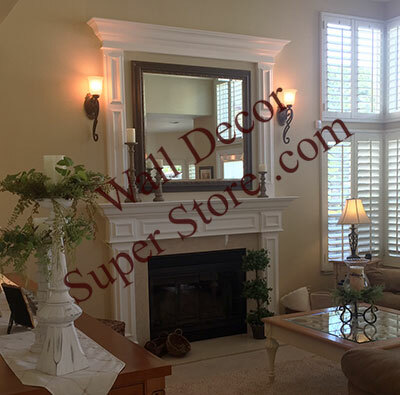 This frame is available in a variety of colors. 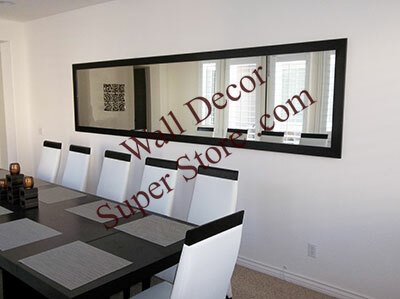 This custom mirror was made with a high gloss black lacquer frame. 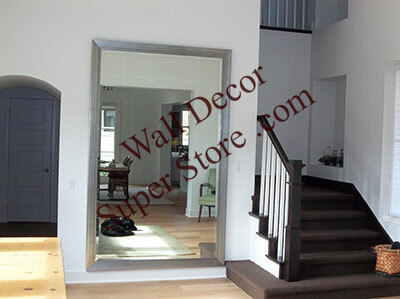 This custom mirror was made with a brushed silver frame. 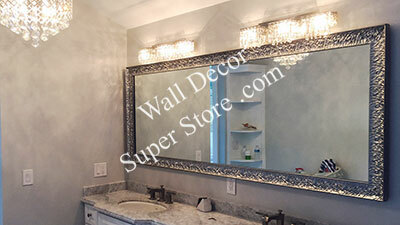 This custom mirror was made with a distressed gray/silver frame. Available in other colors. This custom mirror was made with a distressed silver frame. 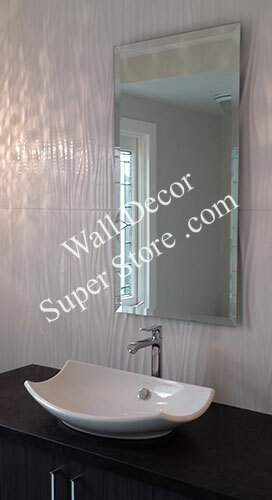 This custom mirror was made with a unique high gloss silver frame. 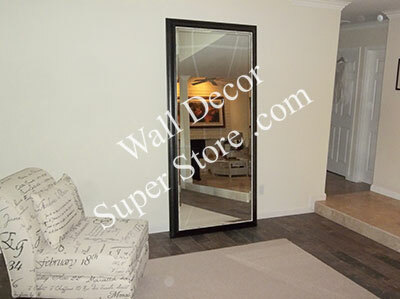 This custom mirror was made with a silver with black frame. 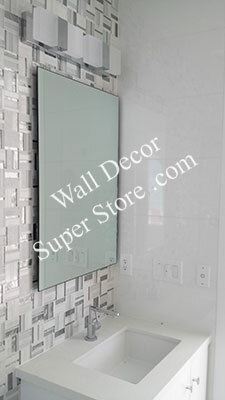 This is our custom floating flat polished edge mirror. There is no visible hardware, so the mirror appears to be floating. 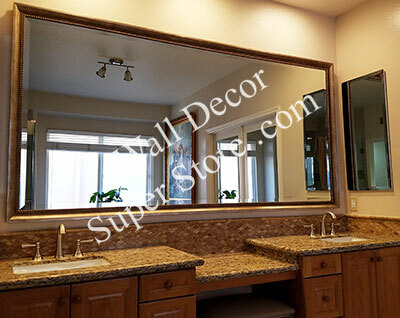 This is our custom floating bevel edge mirror. There is no visible hardware, so the mirror appears to be floating. 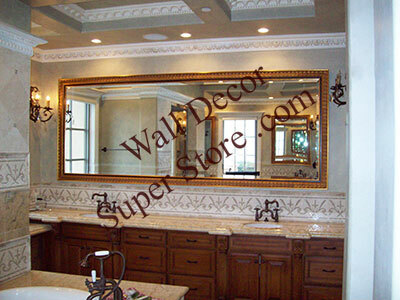 This custom mirror was made with a light gold design frame. 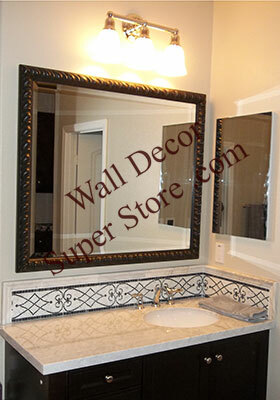 This custom mirror was made with a black/design frame. 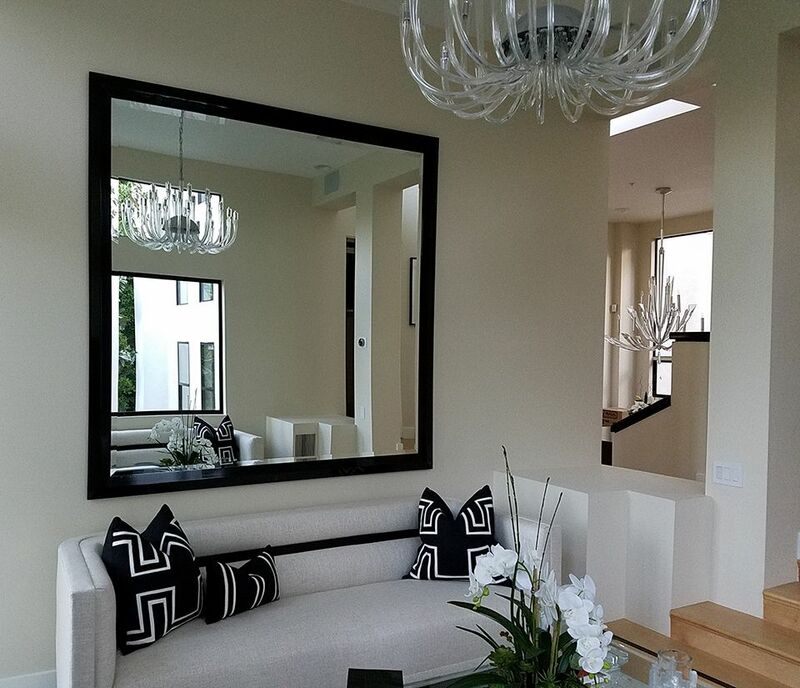 This custom mirror was made with a black frame. 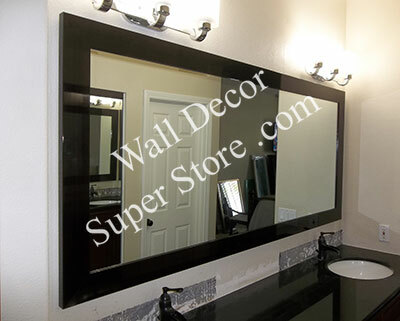 This custom mirror was made with a distressed black/gold design frame. This custom mirror was made with a black frame. This frame is available in a variety of colors. The frame is 3.25 inches wide. This frame also comes in two smaller profiles, MR1521-9 and MR1520-9. 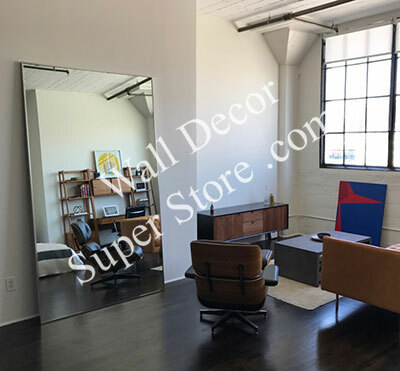 This custom mirror was made with a glossy chocolate espresso frame. 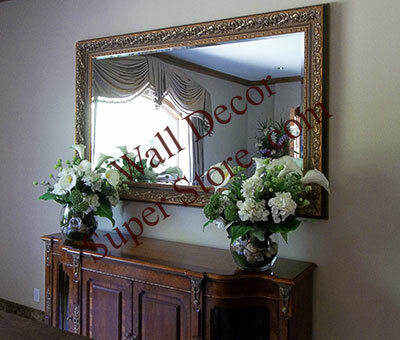 This custom mirror was made with an ornate gold frame. Also available in Silver and Bronze. 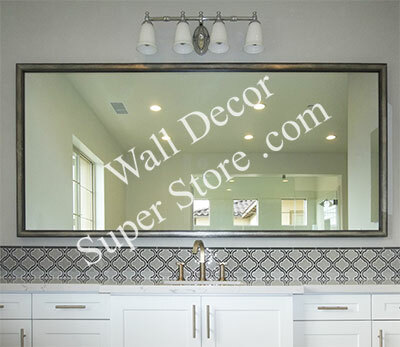 This custom mirror was made with an antique silver frame. 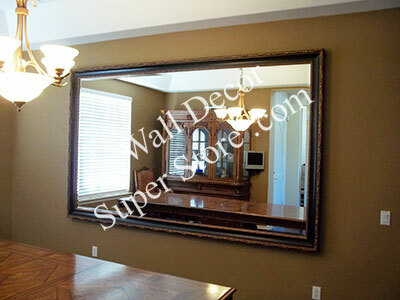 This custom mirror was made with a distressed brown/gold design frame.